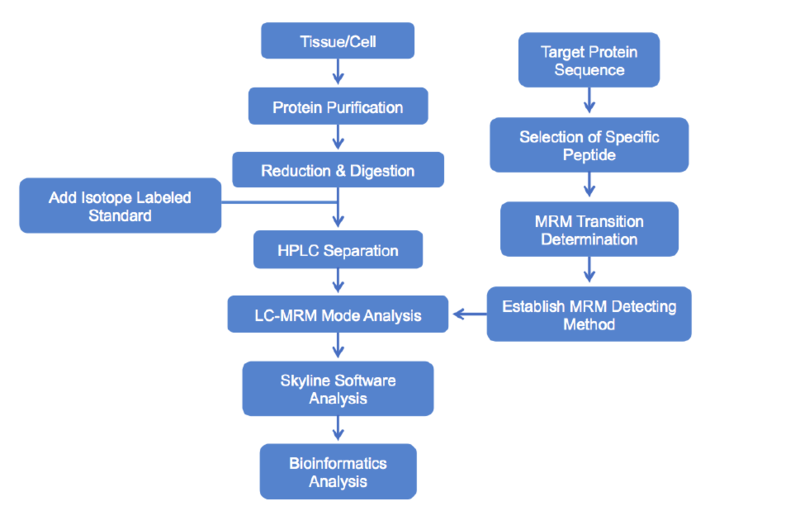 Multiple Reaction Monitoring (MRM) is a quantitative method for analyzing targeted proteomics. Based on the sequence information of targeted proteins, MRM selectively analyzes proteins correlating with the targeted peptide signals, eliminating signals from interfering peptides. 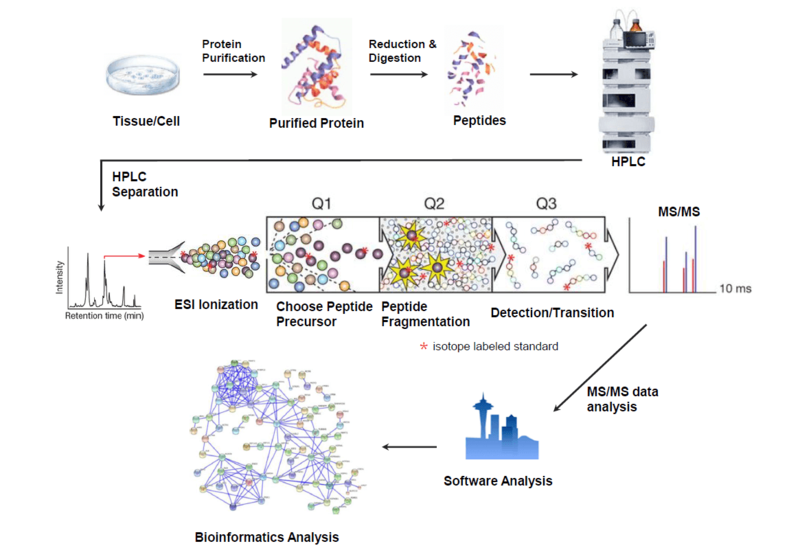 There are three steps in MRM mass spectrometry analysis: isolation of targeted precursor peptides based on MS spectra, fragmentation of precursor peptides, and detection of fragmented ions based on MS/MS spectra. MRM has the highest accuracy among all proteomics quantitation methods, enabling absolute quantitation of protein with reference to internal standard, and analysis of up to 200 proteins at the same time. MtoZ Biolabs is proud to offer an all-inclusive MRM service. Just tell us your project objective and send us the protein sample, we will perform all the corresponding experiments, and provide the most professional analytical service to meet your specific needs.